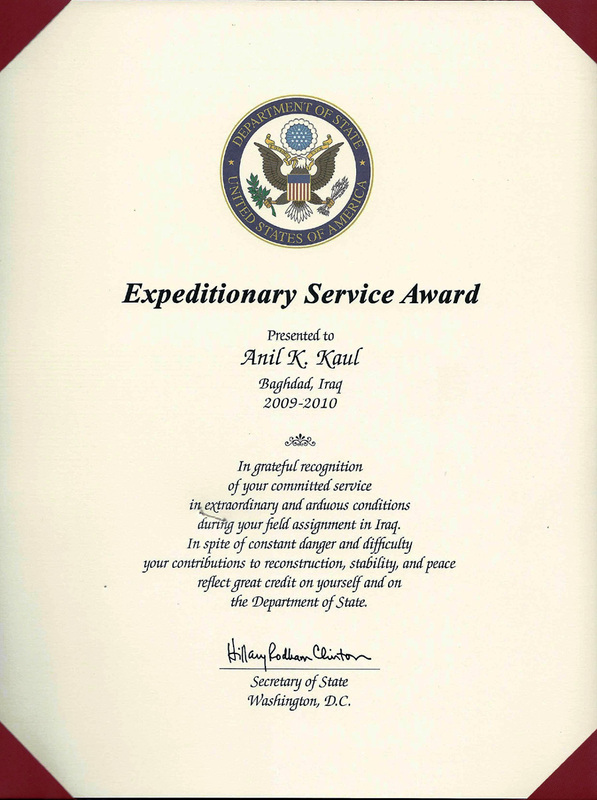 Dr. Anil K. Kaul from Tulsa, OK USA was nominated by the US Department of State for the “Expeditionary Service Award” for his assignment in Iraq. 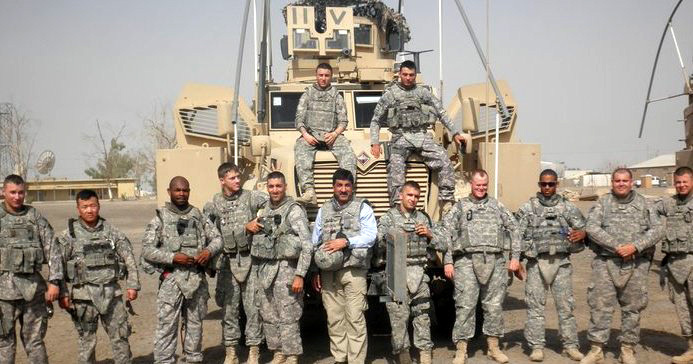 Secretary of State Hilary Clinton awarded the citation for committed service in extraordinary and arduous conditions during his field assignment in Iraq. 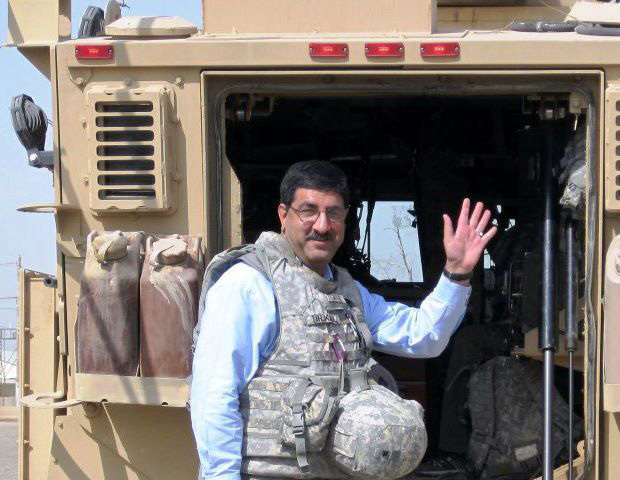 Dr. Anil K. Kaul, M.D., D.D.S., M.P.H., associate professor of 'Obstetrics & Gynecology' at Oklahoma State University Center for Health Sciences, also received the Science Achiever of the Year award at the South Asian Excellence Awards ceremony in New York City in 2008. Dr. Kaul’s research focuses on infectious diseases with special interest in women’s health related issues including premature births. 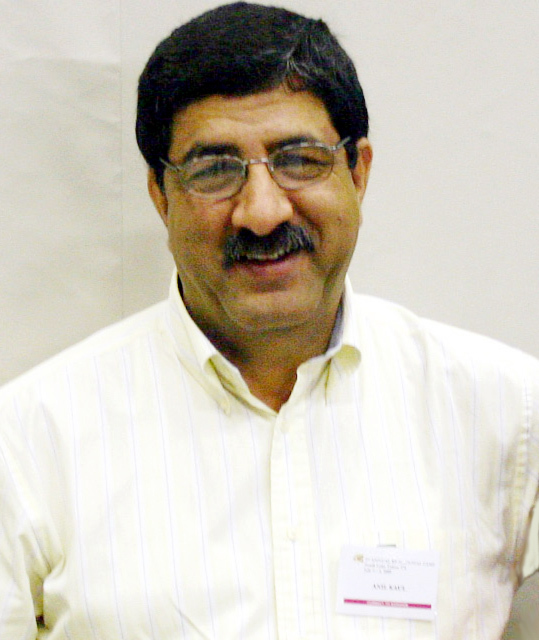 He holds several patents including one for early detection of premature births. His current research involves developing new diagnostic tools for early detection of cancer, and osteoporosis, as well as wireless monitoring of pregnancy.